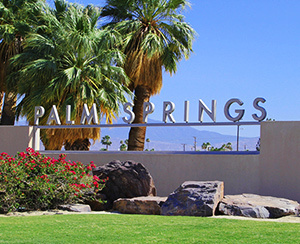 Whether are searching for a mid-century gem, a perfect luxury resort home, a second home, a great condo, or an affordable family home, Palm Springs offers plenty of opportunities for home buyers! From the historic Palm Canyon Drive to the brand new Kimpton Rowan Hotel Palm Springs resort lifestyle shine through! This lifestyle first championed by 1950’s entertainer and now reinvested by Coachella Fest culture has made Palm Springs a favorite destination and an internationally renowned desert resort community! Condos for Sale in Garden Villas E.
Condos for Sale in Greenhouse E.
Homes for Sale in Movie Colony E.